Background image credit: Dougal and Ted at the brook fields in summer. 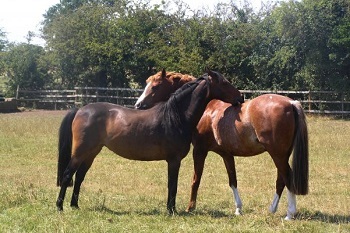 HORSE RIDING LESSONS AT BASSINGFIELD RIDING SCHOOL, LIVERY & SADDLERY, NOTTINGHAM. 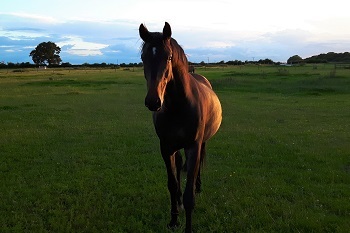 The Riding School was established in 1954 and prides itself on providing a high standard of riding instruction on good quality, well schooled horses. 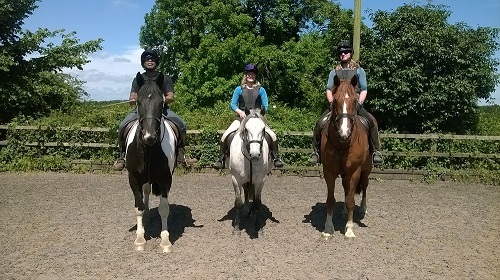 Not only do we cater for the leisure rider, but we have horses and instructors that can take you from complete beginner level to competition standard in most disciplines. 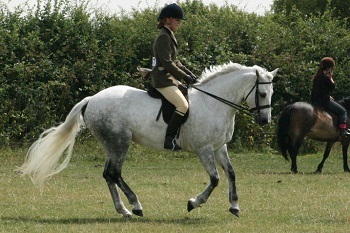 We have a range of riding school horses and ponies to suit all ages and abilities. 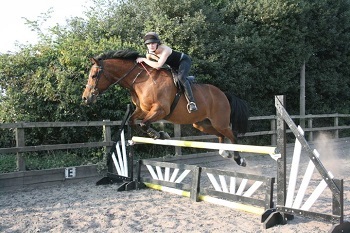 Many of our horses are ex-competition horses that are schooled to a high level. 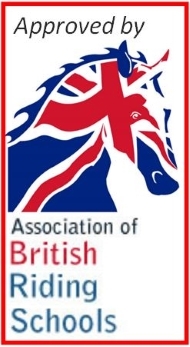 Some will work up to Advanced-Medium level dressage, some have previously competed successfully in BSJA, sidesaddle and at a National level in various disciplines including at prestigious shows such as the Horse of the Year Show. 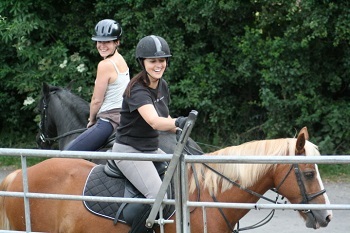 Our aim is to provide superior riding instruction in a fun filled, relaxed environment. 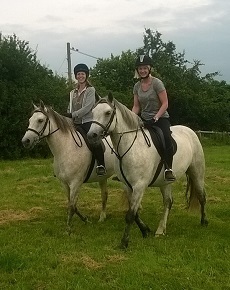 Find out more about Riding Lessons at Bassingfield Here. To find us click here for a larger map. For our lesson price range please click here. 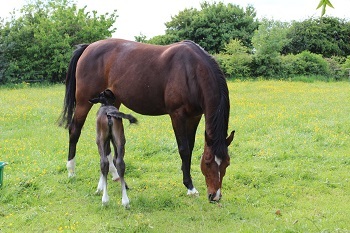 Bassingfield offers livery on a DIY, Grass, Part or Full basis. With over 50 acres of land, quality facilities, regular events and competitions on site and fantastic hacking routes, livery packages can be tailored to suit you and your horse’s requirements. Find out more about our livery services here. Livery spaces are limited and we are usually at our capacity. Please call for more information and to be added to our waiting list. Our well-equipped tack shop, including our made to measure saddle fitting service and specialist advice on kitting out for the show ring will cater for all your riding needs. 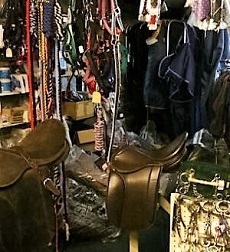 The tack shop is open to external customers by appointment only. Please ring to ensure someone is able to assist you. Located close to Nottingham (see map here), Bassingfield Riding School, offers excellent horse and pony riding lessons as well as first-rate livery for your horse and the use of many facilities, including a floodlit all-weather arena, showjumping and dressage paddocks and a cross country course. An on-site tack shop is available to cover all your riding needs, and advice on kitting out for the show ring can be provided.